In a large roasting pan combine all of the vegetables, except the tomatoes, with half the bottle of red wine and the olive oil. Make sure vegetables are well-coated and evenly dispersed in the roasting pan. Bake in a hot oven for one hour. Add in the tomato product and stir. Bake for another 30 minutes or until very dark in color. Put the vegetables in a large stockpot with six 6 quarts of water. 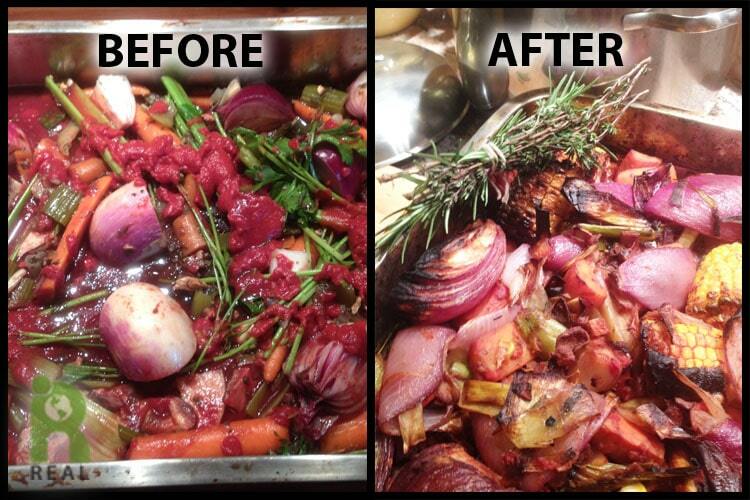 De-glaze the roasting pan with the additional red wine and pour contents in with the vegetables and water. Bring to a boil, reduce the heat and simmer with a lid on for approximately one hour skimming the oil off of the top. Let cool and strain the stock through a finely meshed sieve. Store in the refrigerator tightly sealed for a few days or freeze for a few months. 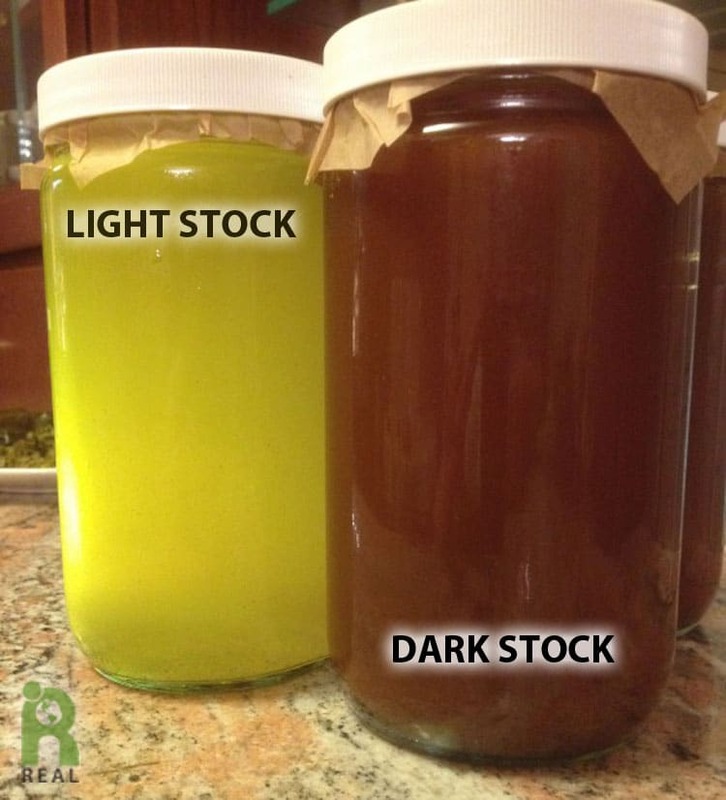 Try our Light (Clear) Vegetable Stock too.